The priory of St Adrian on the Isle of May is traditionally thought to have been founded by David I for monks of Reading Abbey, sometime around 1135. Henry I, David's brother-in-law, was buried at Reading, so the association seems plausible. The priory was established on a site where St Ethernan (who later became known as St Adrian) and several of his followers settled and established a monastery sometime before 669 AD. 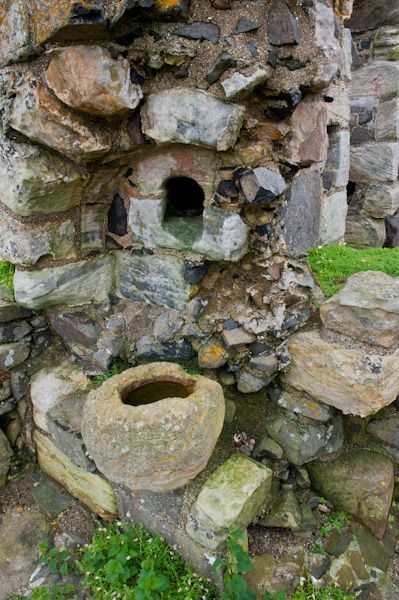 Ethernan was probably trained on Iona, and also established a monastery at Kilrenny, on the Fife mainland. 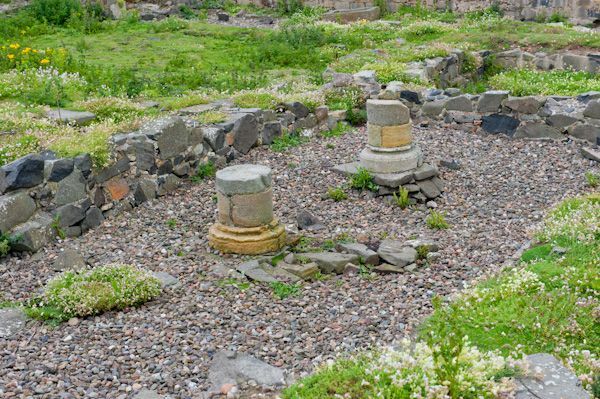 The site was one that had been in use for hundreds of years, as excavations at the north end of the monastery have unearthed skeletons of Picts and monks ranging from the 5th to the 11th centuries. The original monastic buildings were of timber, but by the 9th century these had been replaced by stone buildings. The remains of the earliest stone church can be seen as an outline of rubble within the later medieval church foundations. It is quite astonishing to see how tiny that first church was; it looks like an extremely simple single cell building scarcely larger than a wendy house for a small child. The monks on May were killed by Viking raiders in 875, after which the island gained a reputation as a place of great sanctity. King David granted the monks from Reading estates on both sides of the Firth of Forth to support the new priory. The monks initially reused Adrian's original monastic buildings, but they soon rebuilt on a larger scale, incorporating the original 7th-century church into their complex of buildings. The historical records are contradictory when it comes to the order of monks; both Reading Abbey and St Adrian's Priory are called both Cluniac and Benedictine. We do know that the priory was granted to St Andrew's Abbey in 1318. 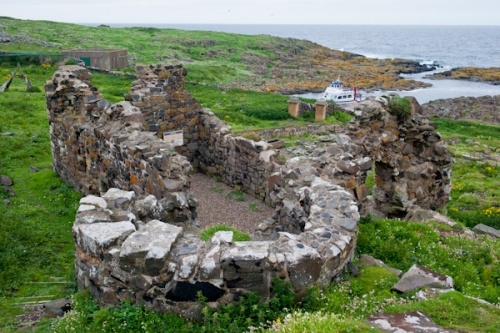 The number of monks on the Isle of May was never very large; records indicate that between 9 and 13 monks were normally resident on the island. It seems likely that the Prior spent much of his time at a comfortable residence in Pittenweem, rather than on the Isle of May! 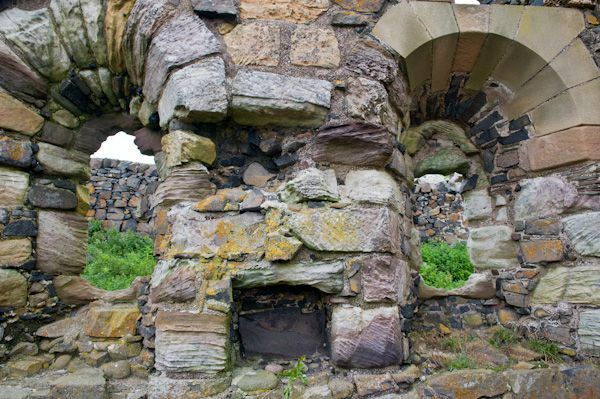 The priory is located just up the hill from the main ferry landing on the Isle of May. The roofless chapel is the most obvious remain, and it is surrounded by the foundations of numerous outbuildings. 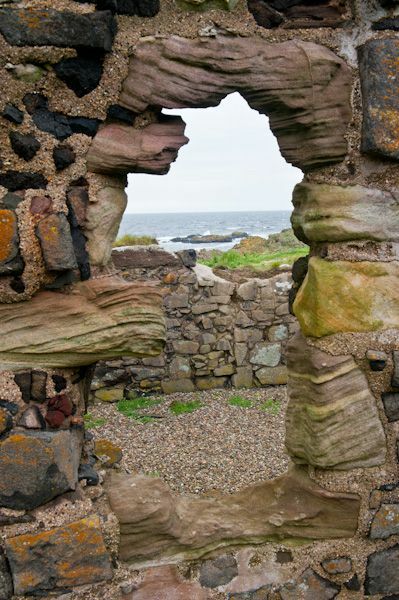 This must have been a desolate site in winter, or when storms cut the island off from the mainland, so it is no surprise that in the 14th century the monks relocated from the island to Pittenweem. 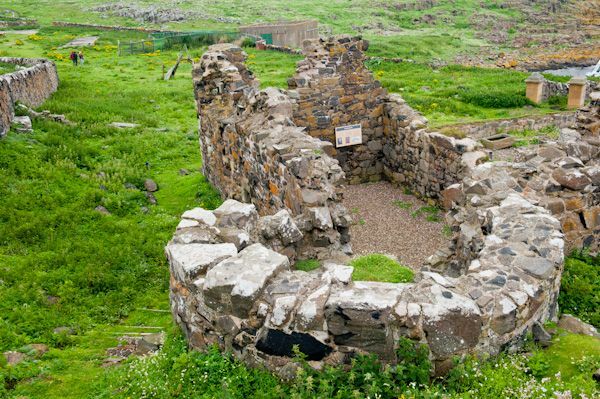 A solitary hermit was left on the Isle of May to tend St Adrian's shrine. The shrine continued to be a destination for pilgrims, and James IV visited May on several occasions between 1490 and 1508. The monastery was essentially deserted after the Reformation and was sold into private hands in 1549. 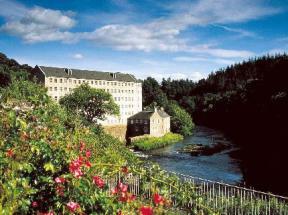 Part of the monastic buildings was transformed into a residence for the new laird. Technically, St Adrian's is an open site, accessible 'at any reasonable time', as the old guidebooks used to say. But let's be realistic; unless you have your own boat and permission to land on the Isle of May, it isn't really open access at all. 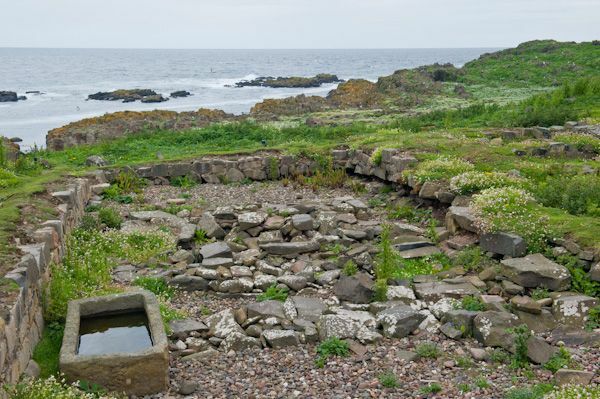 Realistically, the only way to view the site - and explore the island - is to take one of the regular boat trips from Anstruther (weather permitting). We took the May Princess. Its a very enjoyable trip, and you have about 2 hours to explore the island. The priory itself will only take a few minutes, but you can enjoy a bit of bird and seal watching while you're there!